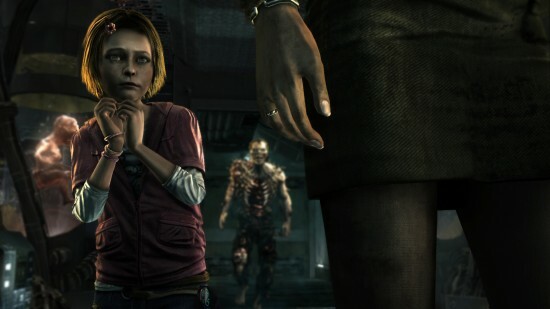 At E3, a survival horror game was shown for XBLA that goes by the name of Amy from VectorCell and Lexis Numerique. You play as Lana who wakes up in Silver City in the year 2034 after a comet attack that caused a virus outbreak, spawning strange creatures. You meet up with an autistic girl named Amy who has mysterious powers and work together in order to escape the virus threat. Unfortunately, Lana is also infected which you will have to keep up to date with on the color-coded meter on your back by healing yourself or by being around Amy to keep from getting too infected. You’ll go through more infected areas and change form from woman to monster which will help around areas with lots of monsters but too much and it’ll be game over. Amy is shaping up to be an interesting XBLA title combining arcade action with survival horror elements, check out some screenshots after the break.